WoodWing Software announced today that Jan de Roos, a seasoned entrepreneurial leader with a strong background in publishing and technology, is the company’s new CEO. 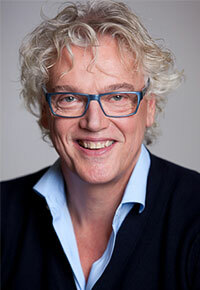 Effective February 1, he will succeed Roel-Jan Mouw, who led the organisation for three and a half years. Under Mouw’s leadership, WoodWing experienced significant revenue growth, strategically repositioned itself and further expanded its global footprint with premier customers in more than 66 countries. WoodWing is a leading provider of solutions for multichannel content creation and digital asset management for publishers, brands and agencies. With de Roos, WoodWing brings in a CEO with a strong record of entrepreneurial leadership. He served for 13 years as the CEO of a leading Dutch publishing group of newspapers, magazines and books. He also founded and worked as an interim manager for several companies in the services and technology industries, including innovative smartphone maker Fairphone and Enviu. He holds a degree in computer science. “WoodWing is one of the most interesting companies and a recognized thought leader in the field of content technologies. The team is known for its high level of innovation and has a promising outlook,” said de Roos. Roel-Jan Mouw joined WoodWing in 2013, embracing the challenge of taking over the company from its founders. “Roel did an outstanding job and today WoodWing is in better shape than ever,” said Erik Schut, co-founder and president of WoodWing. “It was my privilege to be the leader of this talented team over the past years,” said Mouw. “Together we successfully implemented new strategic imperatives, including Elvis DAM SaaS, established WoodWing Digital Services, accelerated our subscription-based business and migrated WoodWing’s solutions to HTML5.